Cut the peppers in half and remove the seeds and stems. 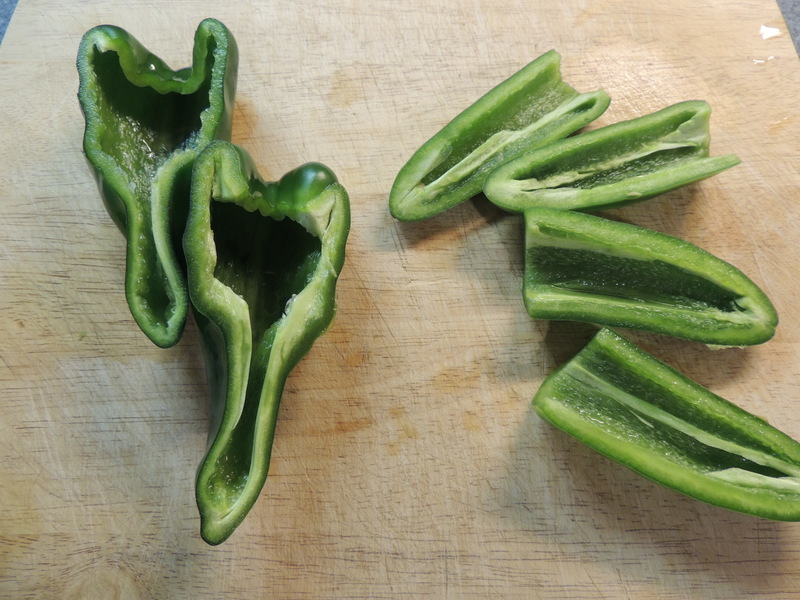 If you want an extra spicy salsa like I do, don’t cut or seed the jalapenos, just remove the stems. 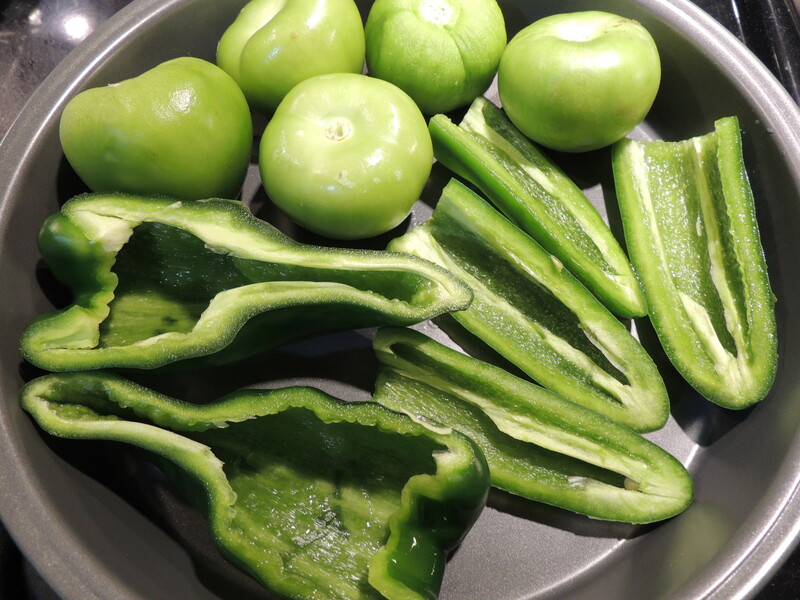 Place the peppers and tomatillos in a pan. 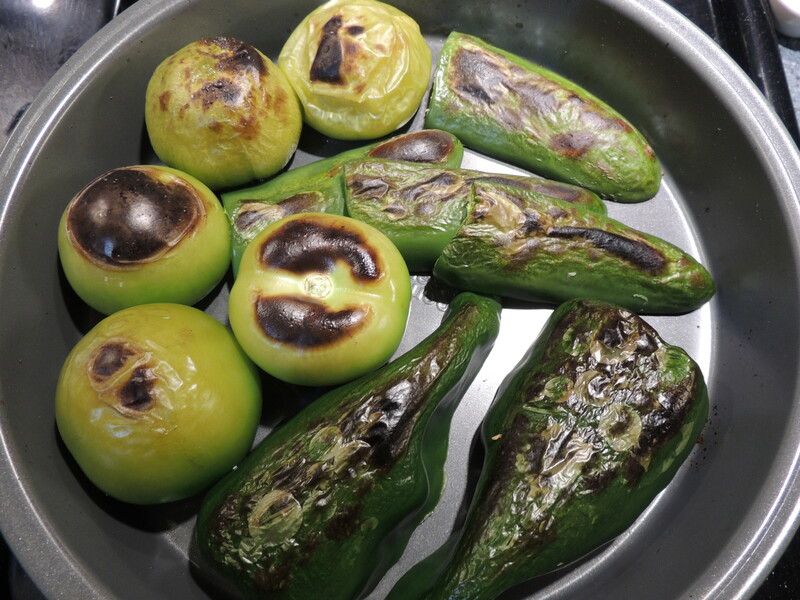 Broil them on HIGH for 3-4 minutes. Flip them over and broil and additional 3-4 minutes until soft and slightly charred. Don’t worry if they start to look burnt, that’s what you want! 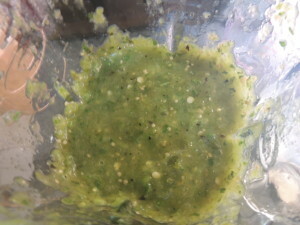 Step 3: Blend it up! 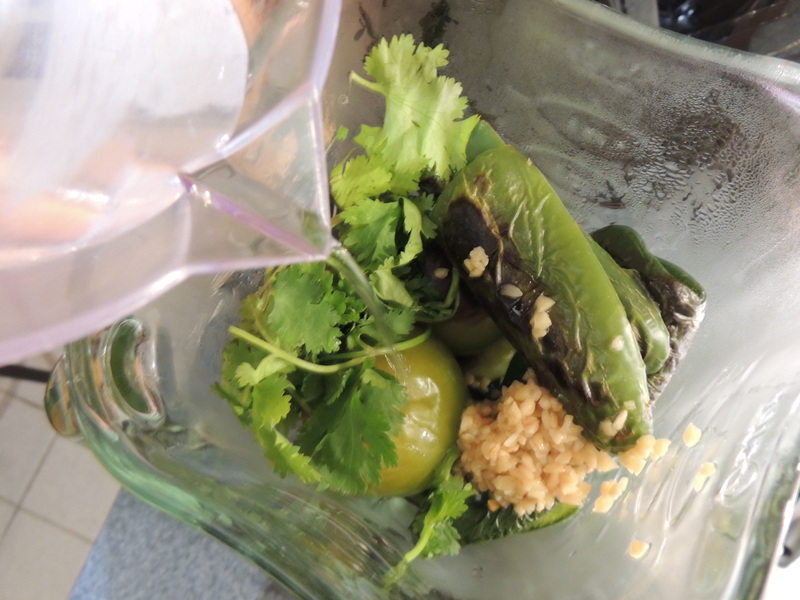 Put your peppers, tomatillos, and any juice that came out during broiling into a blender. Add the garlic, cilantro, salt and water. Secure the lid tightly. 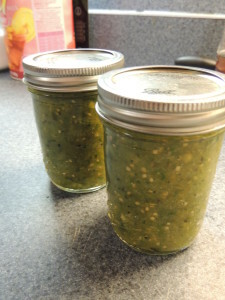 You will want to hold it down with a dish towel to keep the hot liquid from splashing out. Blend in pulses for about 30 seconds. 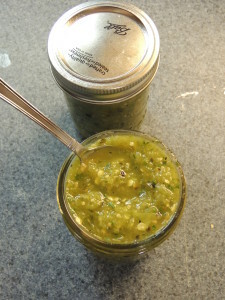 You want to get about 20-25 pulses in to chop the peppers but keep a slightly chunky salsa. Pour your salsa into the jars, and enjoy!